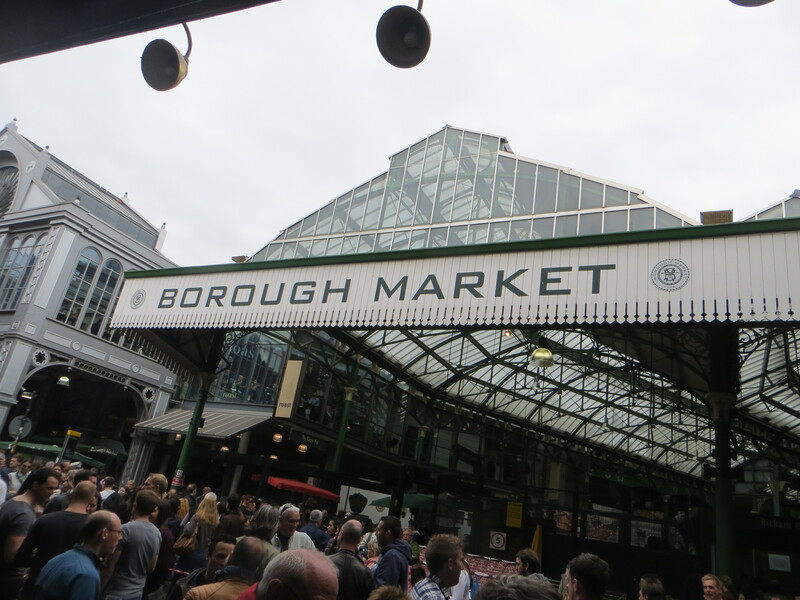 It was a little chilly on Saturday, but pleasant enough to have our pre-match pints standing outside the pub in Borough Market watching the world go by. The cider was rather lovely and the food stalls there are a delight, which is just what you need before making the short trip to the depths of South Bermondsey. The pre-admission bag search was carried out by a woman who, in her quest to find bottles, repeatedly asked me if I was carrying deodorant. I tried not to interpret this as a pointed comment on my personal hygiene. 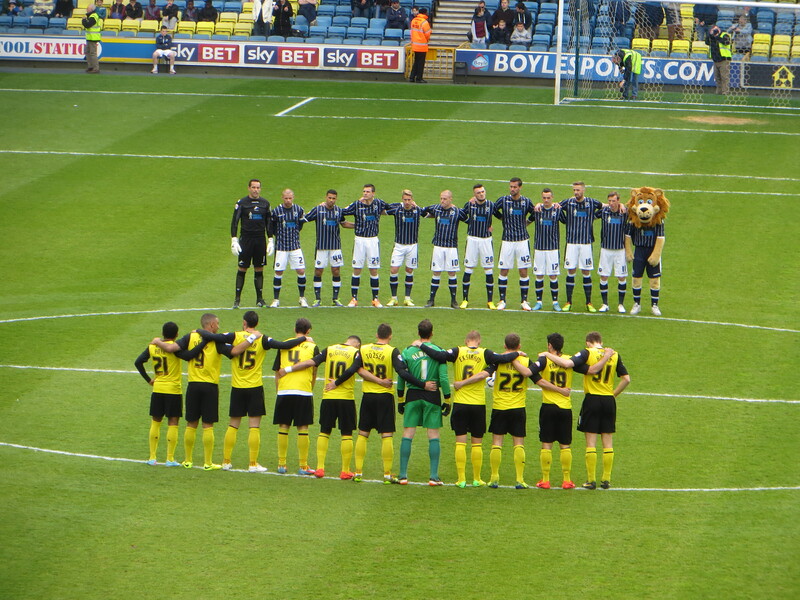 In common with all games this weekend, there was a minute’s silence at 15:06 to remember the 96 who died at Hillsborough. As someone who was at a football match on 15th April 1989, standing on a terrace at Swindon, the horror of what happened that day will never leave me. Over the intervening 25 years, that horror has been married to increasing levels of anger at the way that the victims and their families have been treated. I hope that the new inquests will finally give the families some closure. 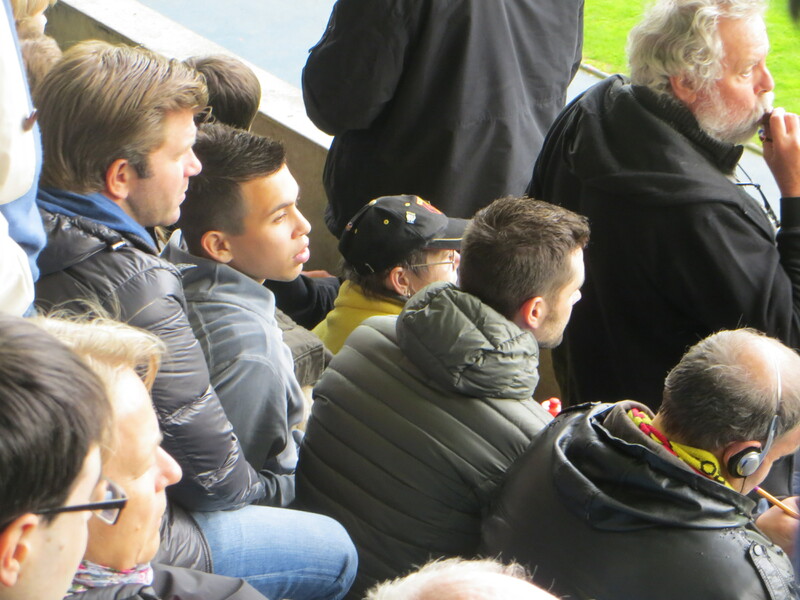 As we awaited the kick-off, a chant of “Cristian Battocchio” went up behind me and sure enough there was the young midfielder looking for a seat in the away stand. I’m pleased to say that he was walking without crutches and had no trouble walking up and down the steps as he chose his vantage point. 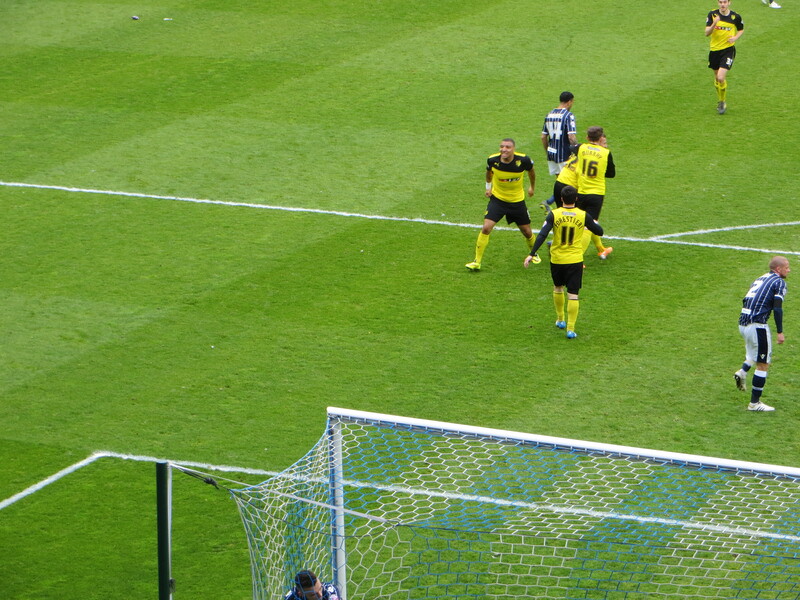 another decent chance as Garvan got on the end of a cross from Maierhofer but again the shot was saved by Almunia. 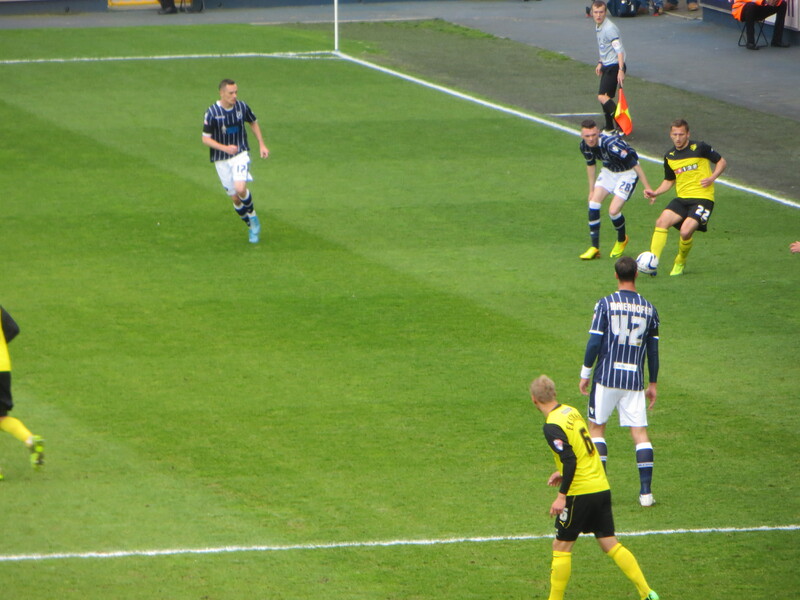 Tözsér was penalized for a high tackle on Williams which the Millwall players thought was inside the box, but the referee indicated otherwise. The free-kick came to nothing. 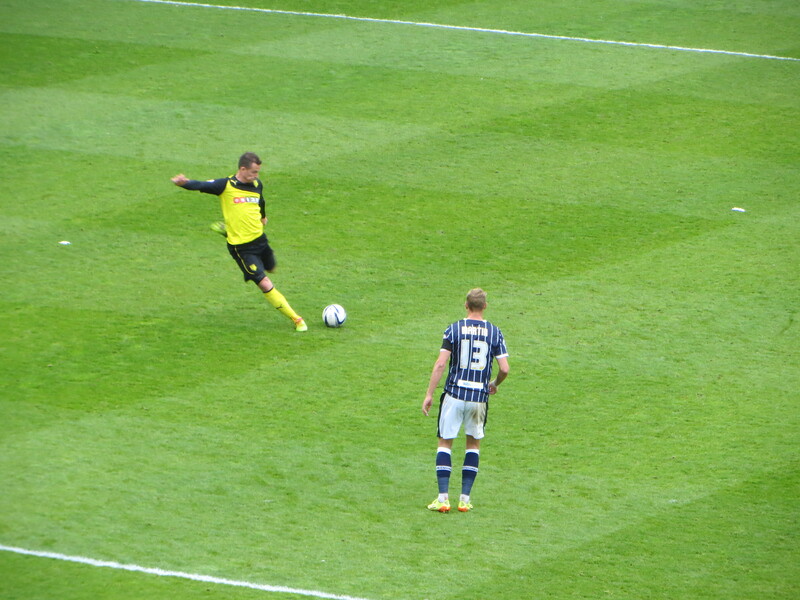 Then Angella intervened to divert a shot from Martin for a corner. Deeney and McGugan combined, but Troy’s shot was straight at Forde. Just before half-time, with Anya on the ground injured, Millwall launched an attack that seemed to go on forever but ended when Woolford shot straight at Almunia, who kicked the ball out to allow Anya to receive treatment. 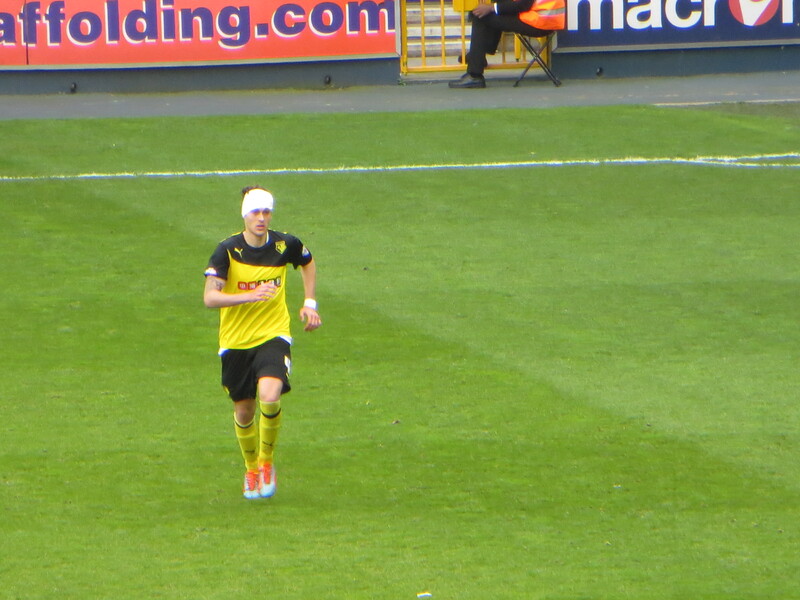 That was Ikechi’s last involvement as he limped off to be replaced by Forestieri. for the final few minutes. Millwall really should have taken the lead as a great shot from Dunne required an equally good save from Almunia to keep it out. 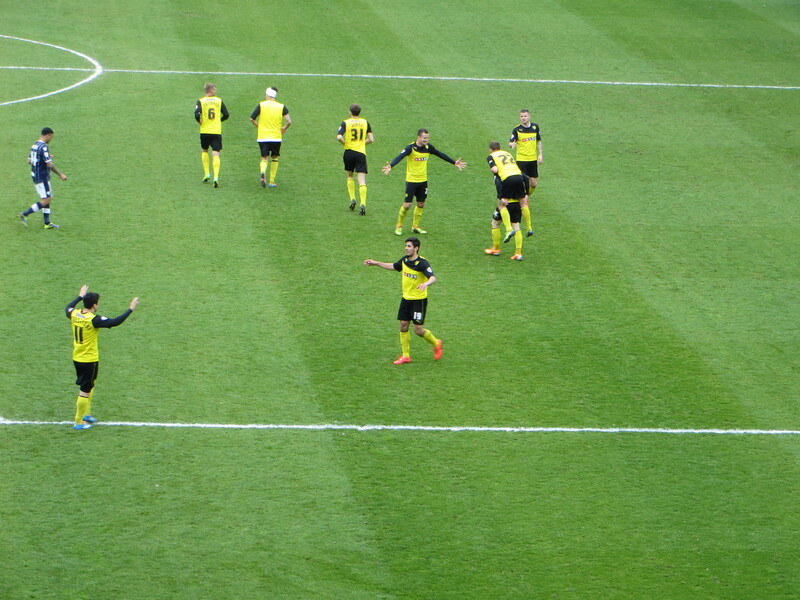 But it was the visitors who, totally undeservedly, took the lead as a swift counter attack finished with Pudil cutting the ball back to Abdi whose shot took a deflection before flying past Forde. Millwall went for the equalizer but Almunia denied Woolford. Watford couldn’t hold on. 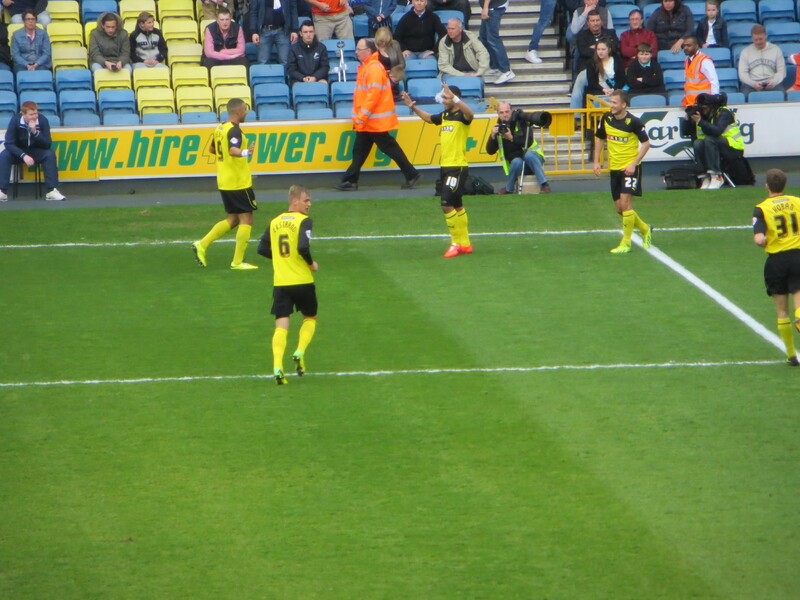 Deep into injury time, a Millwall corner bounced around the Watford box before dropping to Woolford whose shot should have been held by Almunia, but bounced out of his arms and into the goal. There was a lot of frustration among the travelling ‘Orns at the end of the game. But, annoying as it was to concede so late again, the hosts were fully deserving of at least a point as we had been dreadful in the second half. Equally, no blame should be attached to Almunia who, despite his lapse, had pulled off some great saves to keep us in the game. Hopefully, people will finally stop talking about promotion and what ifs. We have not been strong or consistent enough this season to gain promotion and I certainly don’t want to see another unprepared Watford team losing week in week out in the Premier League. Next season will be very interesting. If we can keep this team together with a couple of quality additions, I’d like to think that we could do what Leicester have done this season. But that is a big ‘if’. Next Summer will be very interesting. This entry was posted in Watford FC and tagged Alan Dunne, Albert Riera, Almen Abdi, Carlos Edwards, Daniel Pudil, Daniel Tozser, David Forde, Fernando Forestieri, Gabriele Angella, Ikechi Anya, Jermaine Easter, Joel Ekstrand, Lee Martin, Lewis McGugan, Manuel Almunia, Marco Davide Faraoni, Mark Beevers, Martyn Woolford, Millwall FC, Nick Bailey, Owen Garvan, Scott Malone, Sean Murray, Shaun Williams, Simeon Jackson, Stefan Maierhofer, Steve Morison, Tommie Hoban, Troy Deeney, Watford FC on April 15, 2014 by franelynn.